DuPont | Brooks Plumbing Co. There is at least one component in today’s modern kitchens that many homeowners take for granted—the garbage disposal system. Without a garbage disposal, you’d spend way more time scraping things into the kitchen trash bag, and subsequently more time taking the trash out to avoid a smelly home. Thankfully, most of our food waste can be put down the drain—but not all of it! 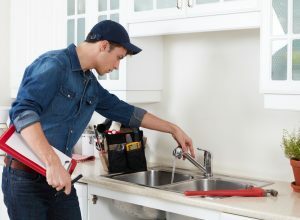 One of the most common reasons we get calls for professional DuPont, WA garbage disposal services is because something has been put down the drain that was never meant for a garbage disposal to manage. To ensure a fully operational garbage disposal and to help you avoid problems, we’ve shared some facts below that you should know about the system. 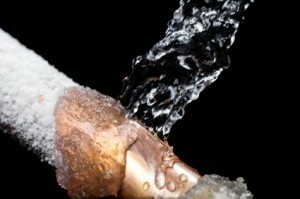 Is Damage from Frozen Pipes Preventable? If weather events such as Winter Storm Kori are any indication, winter time can pack quite the serious punch in Washington State. Of all the home components to protect and prepare for weather such as this, your DuPont, WA plumbing system should rank high on your list. The reason: the expansion of water as it transforms to ice puts a high amount of pressure on whatever is containing it—even if that is your metal or plastic pipes. No matter how strong your plumbing system is—even if you’ve just recently had a brand new system installed—expanding water can cause the pipes to break. The pipes most susceptible to this damage include outdoor hose bibs, swimming pool supply lines, water sprinkler lines, and water supply pipes in unheated interior spaces such as basements, attics, garages, and even behind or under kitchen cabinets. 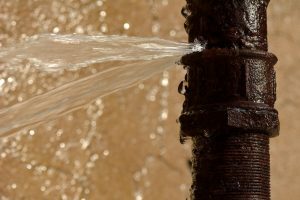 Posted in Plumbing | Comments Off on Is Damage from Frozen Pipes Preventable? The holiday get-togethers may be over with, but winter is definitely a time we all stay indoors, and cook big, comfort-food type meals. That being said, you could be tempted to put all your food waste down the drain. But if you have a garbage disposal, you’d be better of disposing of some items in your trash can—such as hard foods, fibrous foods such as celery, and excessive potato peels. This is just one of the common winter plumbing problems homeowners deal with. Keep reading to learn more. 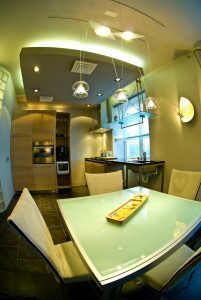 Water heaters are one of those home appliances that are typically out of sight, and as a result, out of mind. That is, until something goes wrong. If you’re fortunate, when something goes wrong it will just be a simple repair need and your water heater will be back up and running in no time. However, if you skip maintenance, then you could find yourself facing one of the following disasters. We don’t just think “maintenance is a good idea.” We see it as an absolute necessity, to keep your home and your family safe. When Does a Clogged Toilet Warrant Professional Service? Clogged drains anywhere throughout your home can be a major annoyance, and unfortunately it’s a common issue. But one of the most detrimental type of clogs you can get in your home is that of a toilet clog, which often threatens to cause major water overflow. 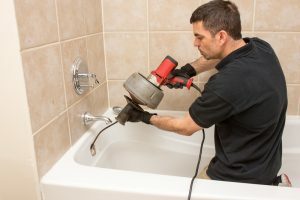 Sometimes a toilet plunger can relieve the simplest of clogs, however there are other reasons for toilet clogs that will necessitate a call to a bathroom plumbing expert to remedy the situation—such as the member of our staff. Keep reading to learn more about these scenarios. Posted in Plumbing | Comments Off on When Does a Clogged Toilet Warrant Professional Service?